Franklin, TN – July 22, 2016 – Apple Music™ has announced that classical genre playlisting brand unCLASSIFIED (http://unclassified.com) has been made a curator on their streaming platform. Starting today, Apple Music™ subscribers will be able to access unCLASSIFIED’s expertly curated content on the service along with exclusive playlists that will only be available on Apple Music™. unCLASSIFIED will also be working with Apple Music™ to make tracks available for certain recordings before release date. Followers of the unCLASSIFIED profile on Apple Music™ will be able to find exclusive content and playlists based on mood or activity. 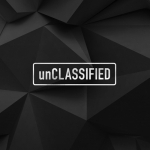 unCLASSIFIED will also work with artists who will curate playlists of their favourite or most inspirational music as well as classical music aficionados and tastemakers to help bring deeper catalogue to a larger audience.